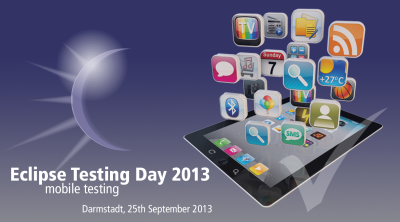 The QualiTune team is happy to announce a presentation of QualiTune research results at the Eclipse Testing Day 2013, focusing on mobile testing on September, 25th in Darmstadt. During the talk Energy testing and optimization of mobile applications, Claas Wilke will present the emerging JouleUnit energy testing infrastructure for mobile applications and its integration into the Eclipse IDE. Software development processes always consists of the iteration implementation and but often the iteration optimization. In the implementation phase the focus rely on the functional requirements whereas in the optimization phase the developer concentrates on the non-functional requirements — also considered as qualities. Therein, the objective is that satisfaction of particular quality requirements in a running system is to be optimized while the functional system behaviour is preserved. Nowadays the quality energy efficiency is more important than ever because mobile devices get more and more powerful but their accumulators do not. The aim of this student thesis is to conduct a study amongst Android software developers to investigate recurring patterns in program code indicating bad energy consumption on the running mobile application. In addition refactorings shall be defined to resolve those patterns with regard to better energy efficiency while the functional behaviour is preserved. A detailed description of this topic can be found here (german). The junior research group Qualitune is searching up to three students for the shot and post production of an image video documenting research results from the ResUbic research cluster. Click here to read more (task description in German). 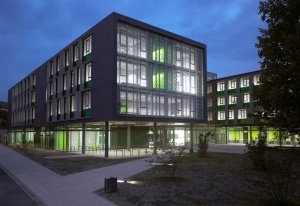 Die Nachwuschforschergruppe Qualitune sucht derzeit bis zu drei Studenten für die Aufnahme und Postproduktion eines Image-Films zu Forschungsergebnissen des ResUbic Forschungs-Clusters im Rahmen einer SHK-Tätigkeit. Mehr lesen. Today, QualiTune participates at the „Jahrestagung der Gesellschaft für Informatik (Informatik2012)“. At the „Workshop zur Entwicklung energiebewusster Software / First Workshop for the Development of Energy-aware Software (EEbS 2012)„, Claas Wilke will present his current work „Energy Labels for Mobile Applications“. The slides of the presentation can be obtained via this link. The QualiTune project currently offerst two free jobs for student assistants (Studentische Hilfskräfte, SHK), including a job in the field of robotics working with TurtleBot robots and Microsoft Kinect. Further information on the jobs can be found via this link. A paper by Christian Piechinick, Sebastian Richly, Sebastian Götz, Claas Wilke, and Uwe Aßmann on Using Role-Based Composition to Support Unanticipated, Dynamic Adaptation – Smart Application Grids won a best paper award on this years International Conference on Adaptive and Self-adaptive Systems and Applications (Adaptive2012).